Following the San Juan Skyway this adventure will take you through historic mining towns and over high mountain passes you will never forget. The San Juan Skyway is a 230 mile loop through Colorado's Southwest mountains. We will spend the days riding in clean mountain air and the evenings sampling some of the best craft beer in the state. This tour will take you through Durango, Telluride, Ouray, and Silverton, Colorado while following the Skyway. You will also ride the famous Million Dollar Highway. 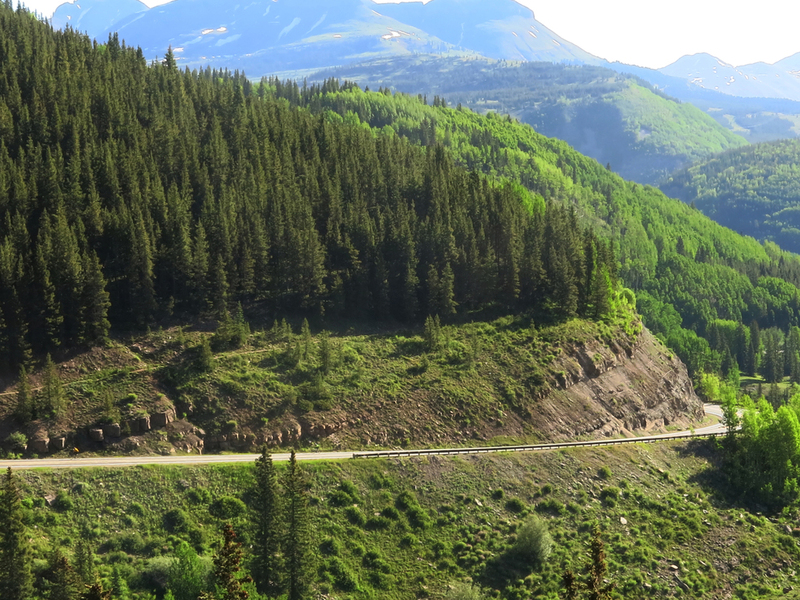 This is one of the 10 most scenic cycling trips in the United States and a must ride for anyone interested in Cycling in Colorado. You will stay at a mix of small bed and breakfasts, Local inns, and hotels. Come along for an adventure in Colorful Colorado! Following the San Juan Skyway this adventure will take you through historic mining towns, over high mountain passes, and through fall color you will never forget. 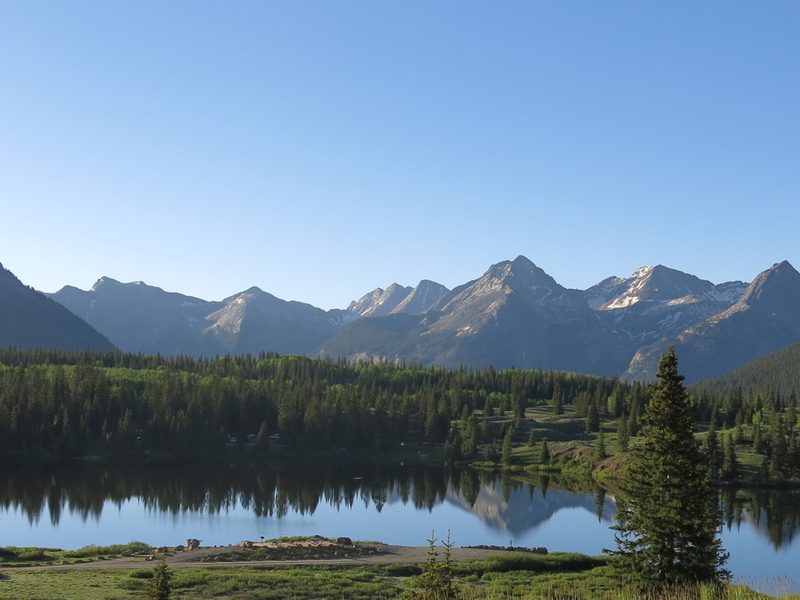 The San Juan Skyway is a 230 mile loop through Colorado's Southwest mountains. We will spend the days riding in clean mountain air and the evenings sampling some of the best craft beer in the state. Day 1 - Arrive in Durango This evening we will meet as a group at the Steamworks Brewing Company for a pre tour meal and entertainment. Day 2 - Durango to Cortez - 46 miles The first leg of our journey around the San Juan Skyway brings us to Cortez, Colorado. Day 3 - Dolores to Telluride - 65 miles The cycle from Dolores to Telluride is a tough ride. It is mostly up hill but the payoff is TELLURIDE. This is a town worth pedaling to. We will have great beer waiting for you in one of the most beautiful spots around. You may add on 11 miles by starting at our hotel in Cortez. Day 4 - Telluride to Ouray - 50 miles The ride from Telluride to Ouray is majestic. You will cycle along by streams, Mountains decked in fall color and postcard perfect mountains to the Switzerland of the United States. Ouray itself is picture perfect, often called the Switzerland of America. Tonight we will sample brews from the Ouray Brewery. Day 5 - Ouray to Silverton - 23 miles While this ride is a shortish ride up and over Red Mountain pass on the Million Dollar Highway the result of your effort is highly rewarded in the town of Silverton, an old school mining town that looks much the same as it did in the late 1800's. Day 6 - Silverton to Durango - 50 miles The ride from Silverton to Durango is a glorious day of downhill riding through high mountain splendor you will be talking about until you come back and do it again. Tonight we will celebrate our adventure with dinner before parting ways. Dinner on the first and last night are included in the tour. Lodging may be modified based on availibility.